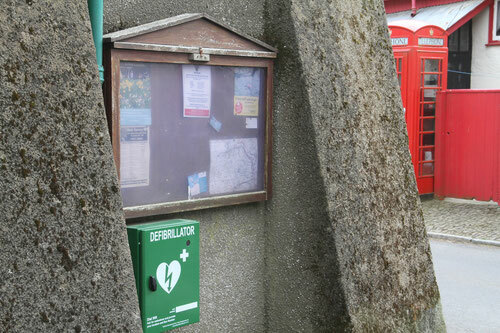 The defibrillator is situated in the centre of the village by Pickards office and opposite the red telephone box. Defibrillators are designed to be easy to use and it will give clear voice instructions to talk the user through the various steps. So if someone has a cardiac arrest, don't be scared to use the defibrillator.